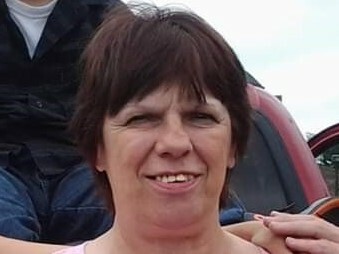 Carol Marie Blakely, 63 years, of Bryan, passed away Thursday, March 21, 2019 at Community Health Professionals Inpatient Hospice Center, Defiance, surrounded by her family. Carol was born December 21, 1955 in Defiance, Ohio, the daughter of the late Roger and Patricia (Smith) Shawley. She was a 1973 graduate of Defiance High School through Four County Joint Vocational School. Carol worked for Community Hospitals and Wellness Centers, Bryan in the Environmental Services Department for over 10 years. Prior to this, Carol was a Real Estate Agent for Century 21 while living in Oklahoma. An avid Sam Hornish fan, Carol followed Nascar. She enjoyed watching any type of crime shows. Carol truly treasured the time she was able to spend with her family, especially her grandchildren. Surviving are her two children, Danielle Washington and Wesley Ankney both of Bryan; six grandchildren, Carissa (Lupe Gomez) Washington, Leanna (Jesse Elliott) Washington, Bradley Washington, Johnathon Washington, Jacob Washington and Alex Perez; five sisters, Barbara (Bert) Smiddy, Trudy Smith, Bobbi Jo (Bill) Poston, Susan (Rick) DuPont and Angela Fee, all of Defiance; three brothers, Roger (Jane) Shawley, Michael (Marianne) Shawley and William Shawley all of Defiance. She was preceded in death by her parents, one son, Andrew Ankney; two sisters, Patty Shawley and Rebecca Shawley; one niece, Rebecca Hohenberger and one nephew, Robert Smiddy. The family invites you to attend her graveside funeral services will be held at 1:00 p.m. Wednesday, March 27, 2019 in the Mausoleum at Riverview Memory Gardens, Defiance with Pastor Perry Porter officiating. A gathering of family and friends will follow memorial services for a funeral luncheon beginning at 3:00 p.m. in the Defiance Eagles Arie 372. Arrangements are under the care of Oberlin-Turnbull Funeral Home, Bryan, Ohio. In lieu of flowers, those planning an expression of sympathy are asked to consider memorial contributions be made to the family to assist with final expenses.